The position of the original London & Birmingham Railway engine shed is unknown. It opened 13 May 1845 and was blown down in 1852. 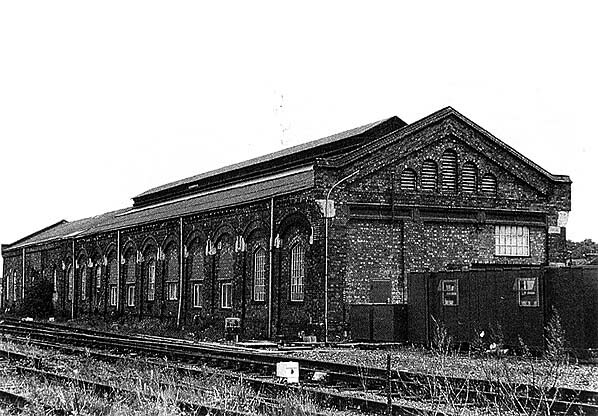 A replacement 2-road shed was opened by the LNWR c.1855. It was enlarged by a 3 road front extension in 1870, only to be closed in 1881. It then became a carriage shed for many years and still stands today and is in use by engineers. This view is c.1996 and you can clearly see the two sections - so the rear bit is some 158 years old.